1977-1995: TV, collecting steering wheels of cars I pretend to drive, comic books, TV still, some books, write short stories, listen to audio tapes, many more books, make experiments with a VHS player, listen to records, attending a language school, learn playing guitar, listening to CDs, do some work, do not go down in particular, buy my first electric guitar, play with a band with no bass player, we find a bass player but he leaves, graduate in foreign languages. 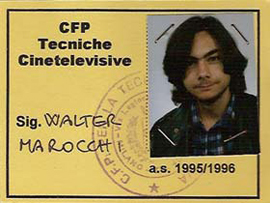 1995-1998: I subscribe to the CFP Cinema School in Milan, which will give me a diploma in editing techniques, moving from the upright moviola straight to digital. Start working as an assistant editor in Milan at Groucho Film production company where I work on commercials, music videos, short films and fiction. Enter for the first time in a recording studio and play my first live gig. I join Anacondia, band I'm still part of today. 2002-2008: I become a freelance editor, work I still do today. I have a deja-vu. At the beginning a lot of advertising, a few video clips, a bit' of television (but fortunately not much). Form the duo Art Of Logging in which I self-produce and self-record The Bedroom Sessions, an album of electronic music: loops, samples, effects, vintage instrumentation, and a rap performed by a Macintosh. The potential of the album is so revolutionary that many record companies are under pressure from above to prevent its distribution. In my spare time I work with music magazines Jam and Jazzit with reviews and interviews. I move from the province to a working class district of Milan. I record the EP Walls with the "improvised" band A Different Porosity: a trip to Punkland with professional painters Marco Testaferro and Stefano "Stukko" Casabianca as pals; a small size concept album whose lyrics refer to the uneasy world of whitewashing and painting. Meanwhile I write songs for a new project, which after a series of events and line-up changes which could have shattered huge bands such as Earth, Wind & Fire and Jefferson Starship, finally consolidates in Walter Marocchi Mala Hierba, a quartet with pianist Fabrizio Mocata, bass player Carlo Ferrara and drummer Stefano Lazzari: what comes out is an unpredictable blend of jazz, rock, tango, ethno, and more; a crossbreed reaching his climax in the live act. 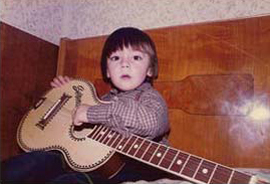 I edit my first documentary, Once We Were Children, also collaborating to its the soundtrack. Publish a new Art Of Logging album, entitled Heavy Machinery. 2009-2012: after two years passed cutting its teeth on stage for a hot meal, Mala Hierba publish their first album, entirely written, arranged and produced by me: Impollinazioni shyly gets some attention by winning Premio Toast at M.E.I. 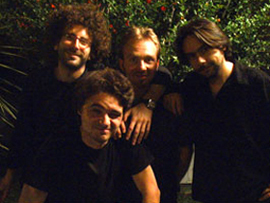 (Italy's most important independent musical event) as Best Italian Instrumental Album, being recommended as well as one os best indie-rock new acts and getting a nomination at Progawards as Best Debut Album, evident proofs that critics, stunned by the record's diversity, are at their wits' end. 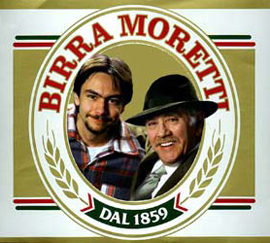 Then follows an 'intense live activity that leads us from Switzerland to lower Valdarno. Meanwhile the extraordinary multi-instrumentalist Anthony Neglia is added permanently to the quartet. Along with editing works of all kinds there come other documentaries and some small soundtrack. 2013: start of the year comes Alisachni, the second album of Mala Hierba. 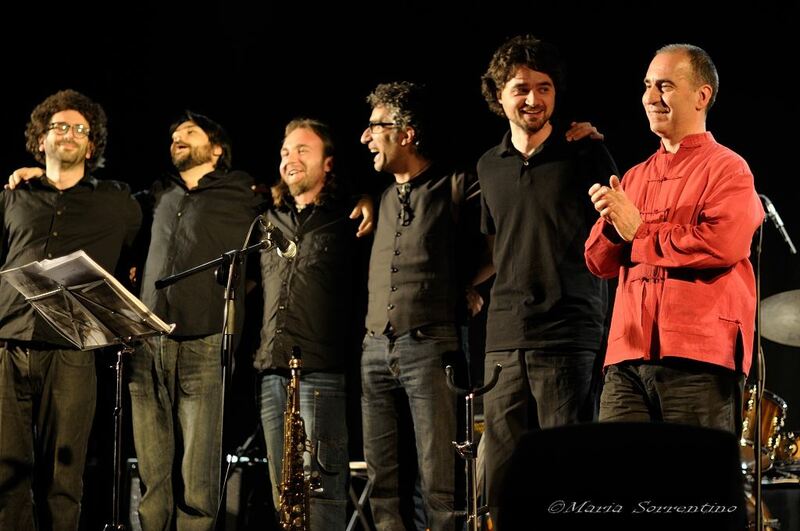 The quartet/quintet aspect melts in a sort of open group, for a work which is even more difficult to define than its predecessor, featuring Felice Clemente on sax, Roberto Romano on clarinet and duduk, as well as a trio of female voices (Ornella Vinci, Giovanna Ferrara and Altin Manaf) and an 8 piece choir. So not only an instrumental quartet, but a gathering of musicians who embrace the concept of music as movement, migration, encounter. Critics and a track on the album is nominated for an Independent Music Awards, many satisfactions but the piggy bank is empty and stages are scarce. I cut my first feature film, On Stage In Five Minutes, directed by Laura Chiossone. 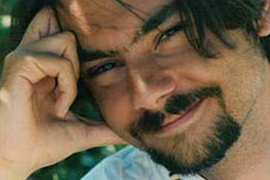 The film was released in theaters in spring and received awards in several festivals including the Annecy Italian Film Festival and Mantova Film Festival. In autumn I work on Piero Manzoni Artista, a documentary by Andrea Bettinetti distributed worldwide. At the end of the year, V.olks W.agen's Modern Headphones is released. project performed along with bassist and composer Vincent Dalschaert. 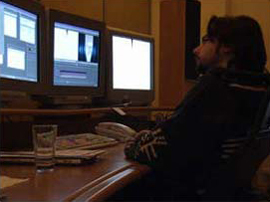 2014-2015: I start teaching techniques and theories of digital video editing at the Emit Feltrinelli of Milan and the University of Fine Arts in Torbole. I take a break from original music projects: beyond joining the Jethro Tull Benefit Tribute Band, I form with singer Ornella Vinci the Carretera Sur duo, dedicated to the acoustic reinterpretation of songs from Latin American authors. 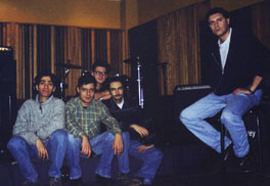 Some of our repertoire is part of the album Sendas De Libertad.